You probably haven’t heard their names, but the work they do makes them today’s true heroes. They are teachers—the men and women who encourage, enlighten, and inspire their young charges every day; who find the idea of “making a difference” irresistible; who refuse to yield to apathy and indifference. 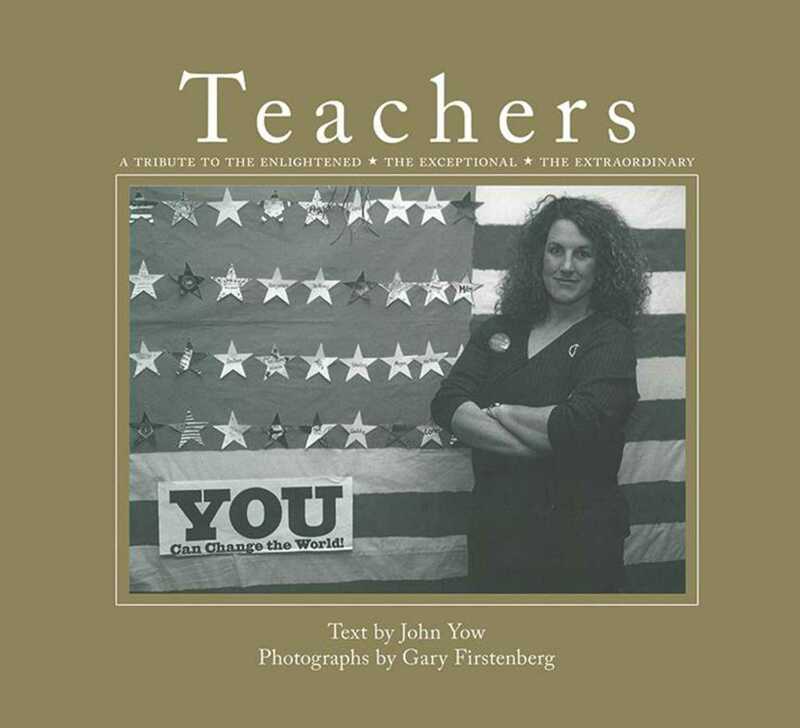 In this celebration of the world’s most important and demanding profession, writer John Yow and photographer Gary Firstenberg have sought to capture the guiding spirit of these special people. The authors shine a spotlight on over fifty unique instructors, highlighting what it is that makes them exemplary role models for future generations to come. Teachers highlights a broad range of uniquely dedicated and creative professionals and covers the education landscape from inner-city public schools to rural one-room schoolhouses. It introduces an astonishing variety of classroom teachers and innovative programs, along with specialists in such extracurricular pursuits as cooking, rodeo, voice, acrobatics, and martial arts. Superb high-quality black-and-white photography, compelling stories, and an elegant design combine to make Teachers a much-deserved and long-overdue tribute to teachers everywhere. It’s the perfect way for a parent (or student) to express their gratitude to a favorite mentor.